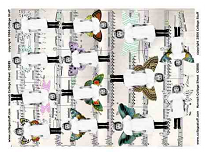 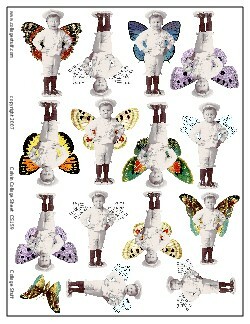 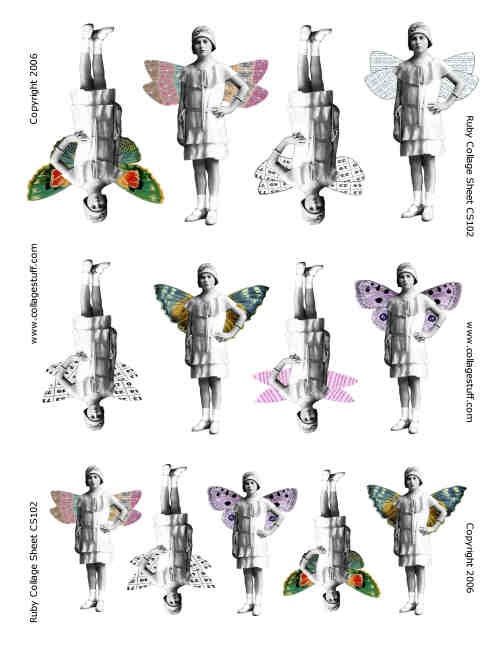 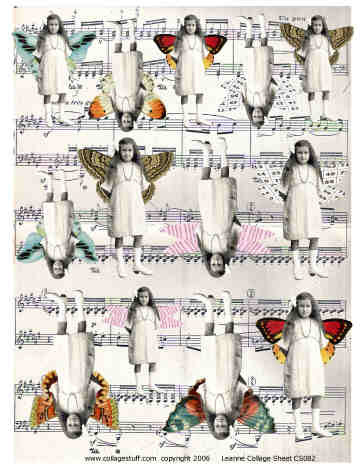 Angel Faces 2 Collage Sheet, CS03240901, art sample not included. 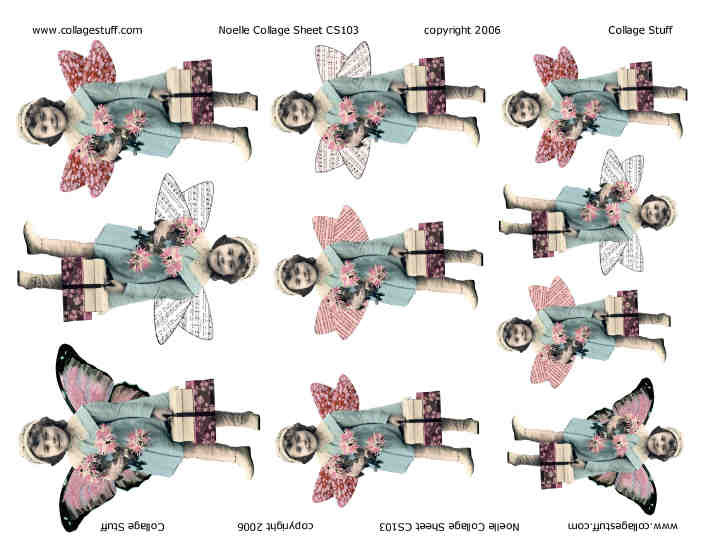 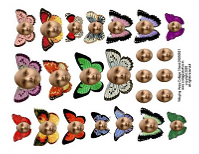 Angel Faces Collage Sheet, CS03240901. 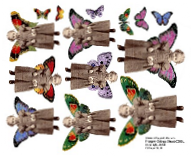 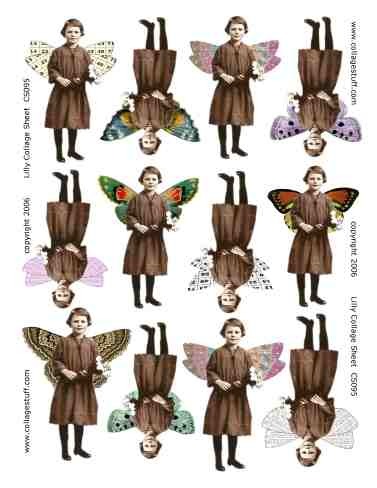 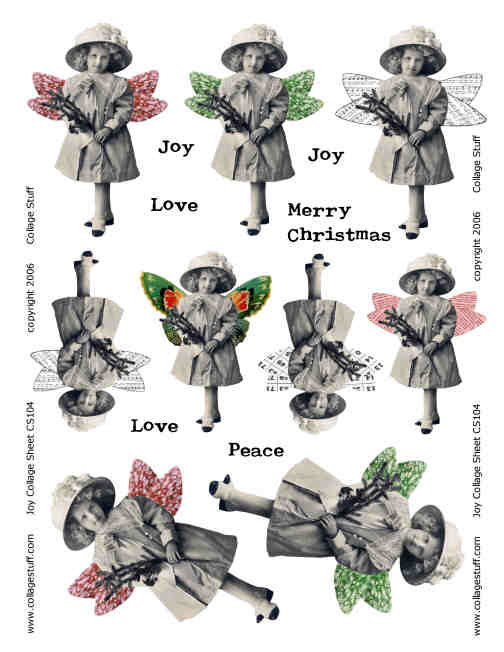 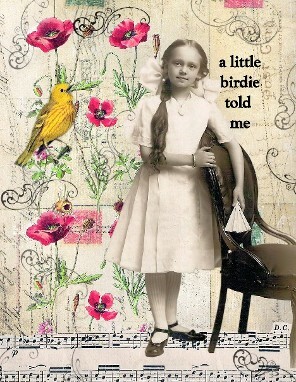 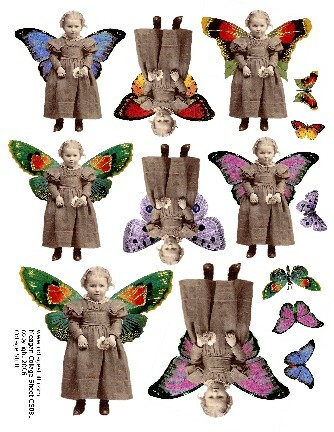 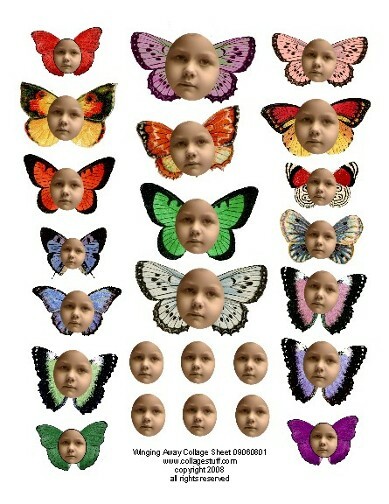 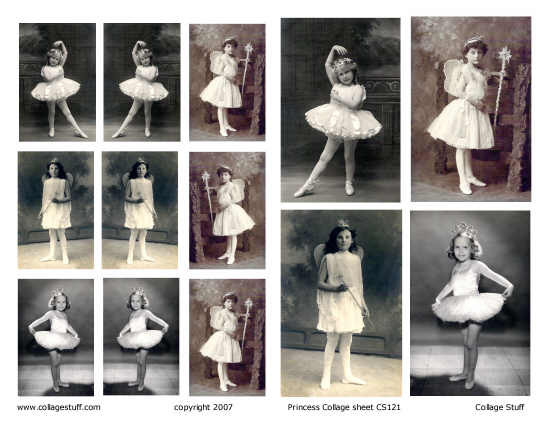 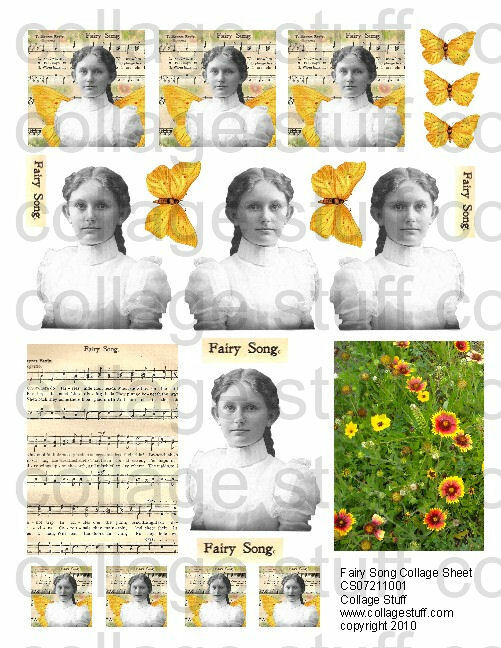 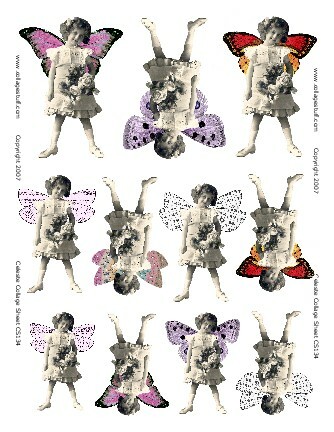 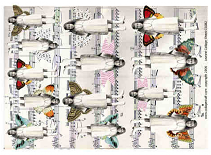 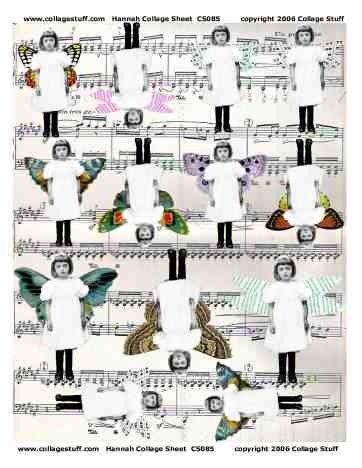 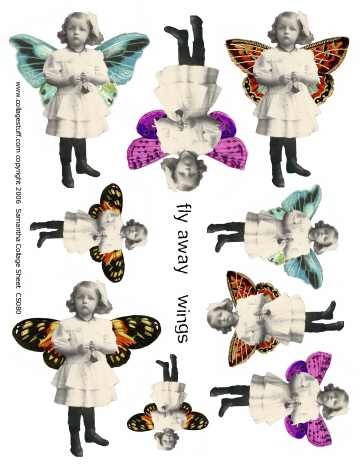 "Fairy Song" Collage Sheet; 8.5 x 11"; 300 dpi images; See dropdown menu for pricing. 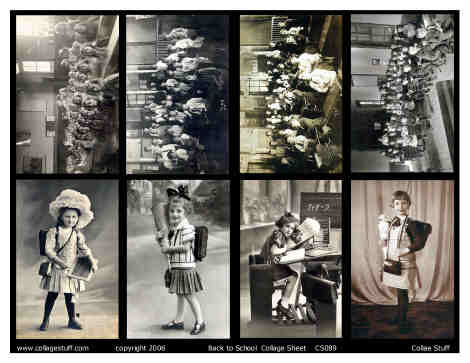 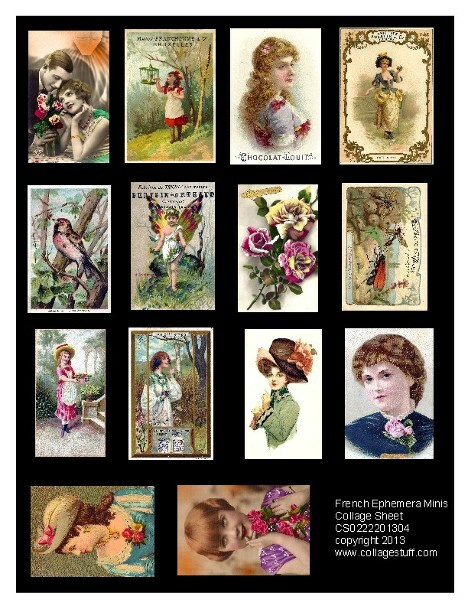 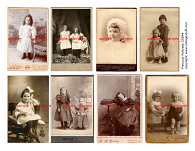 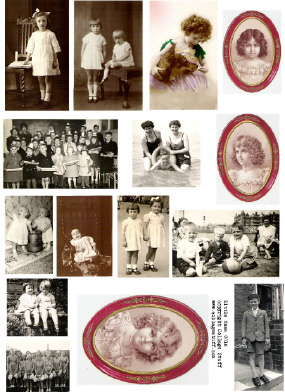 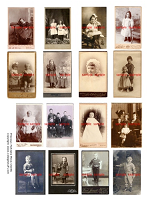 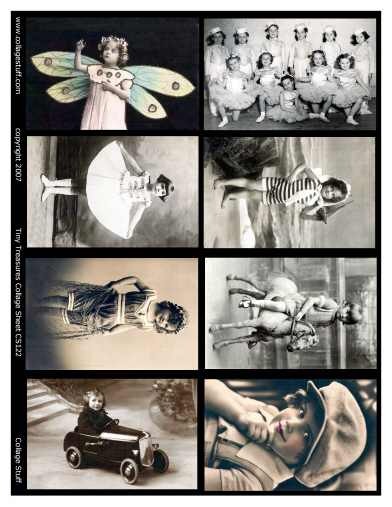 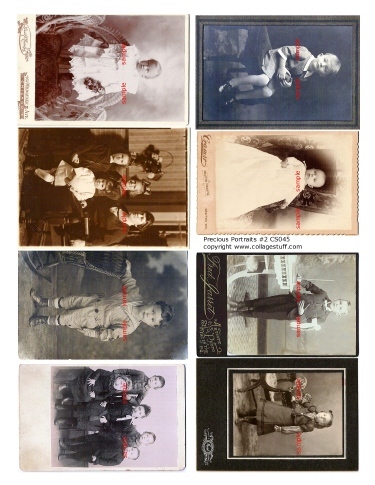 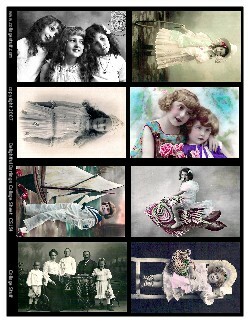 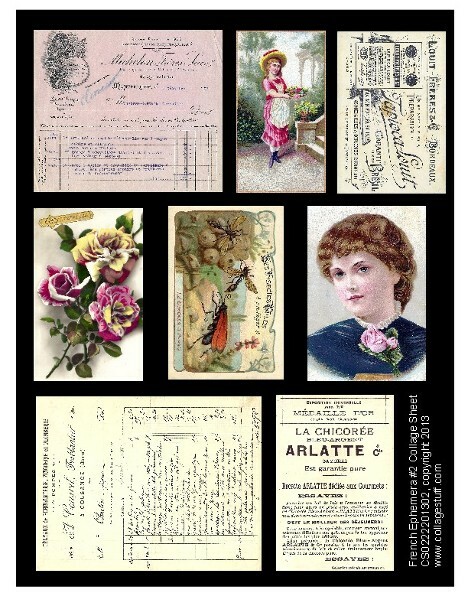 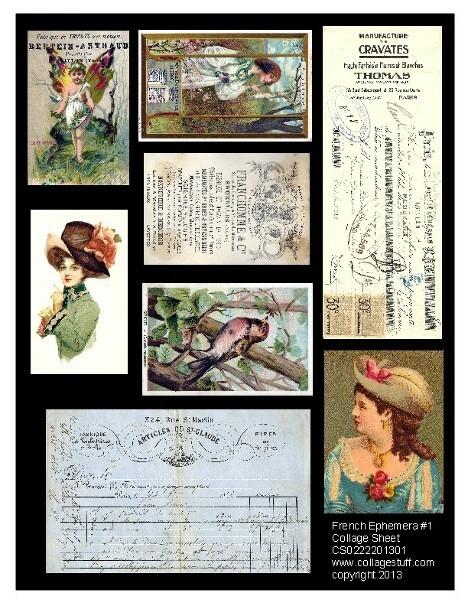 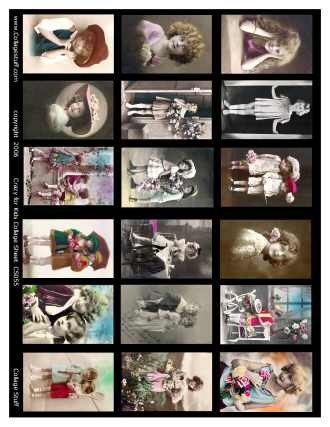 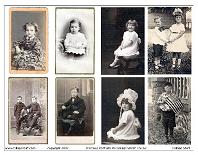 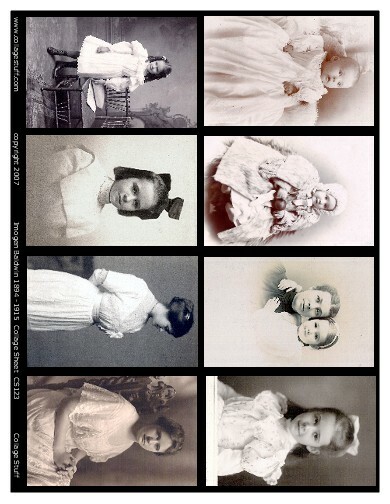 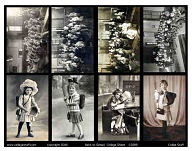 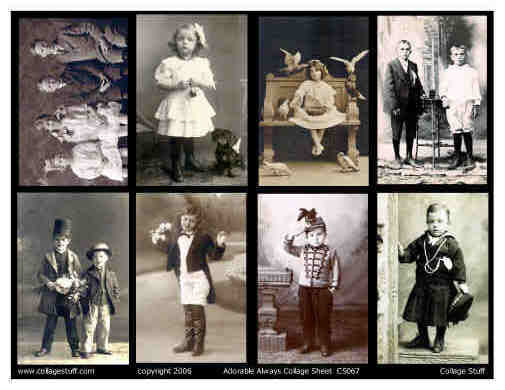 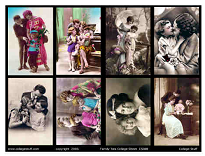 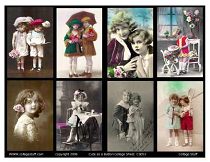 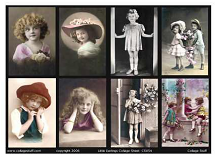 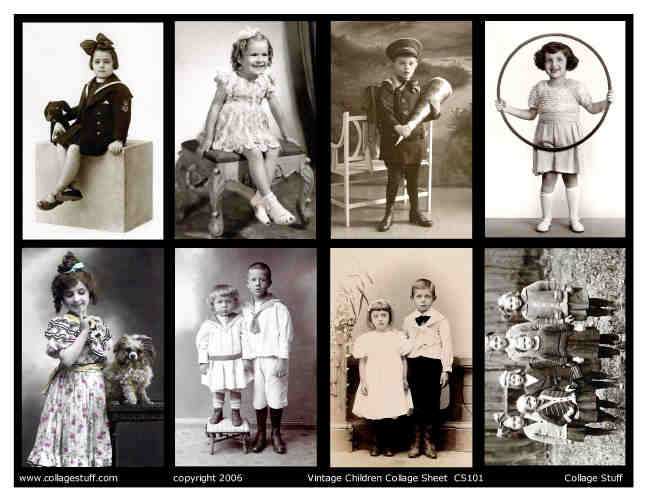 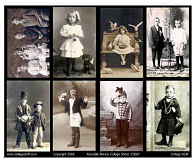 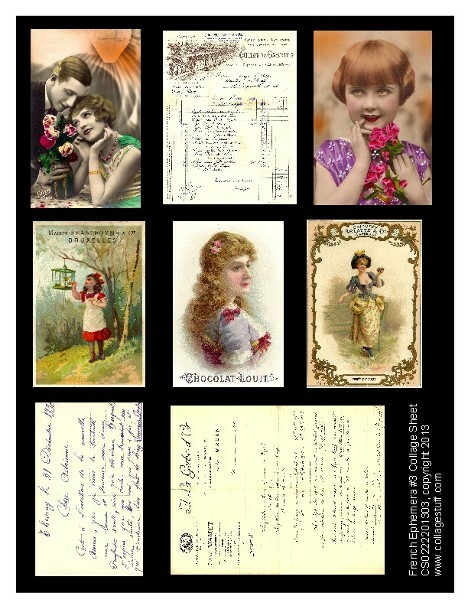 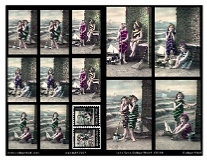 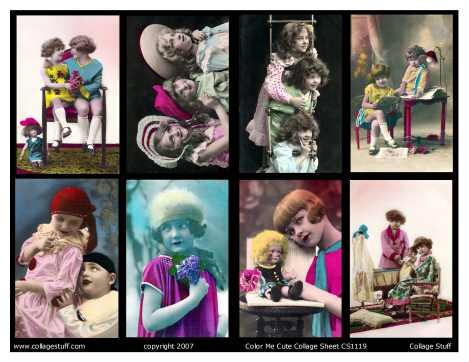 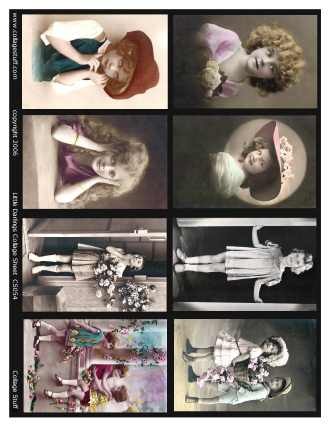 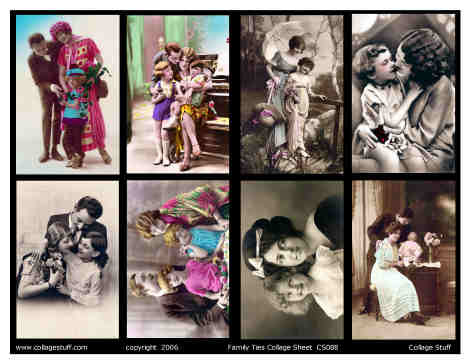 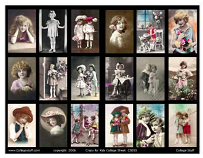 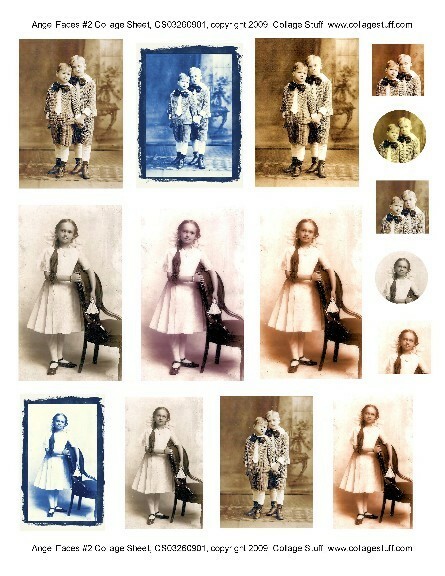 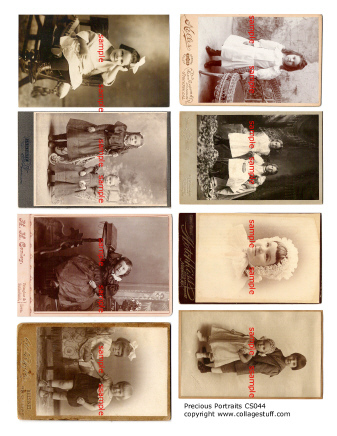 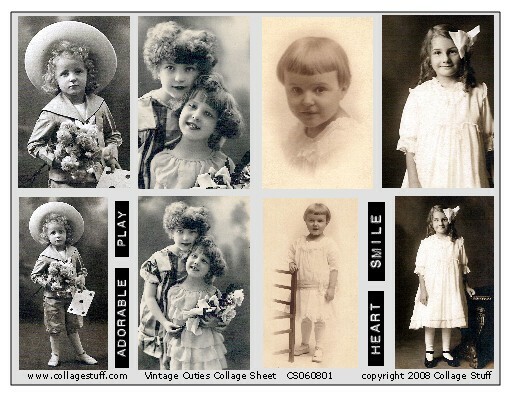 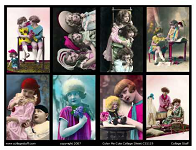 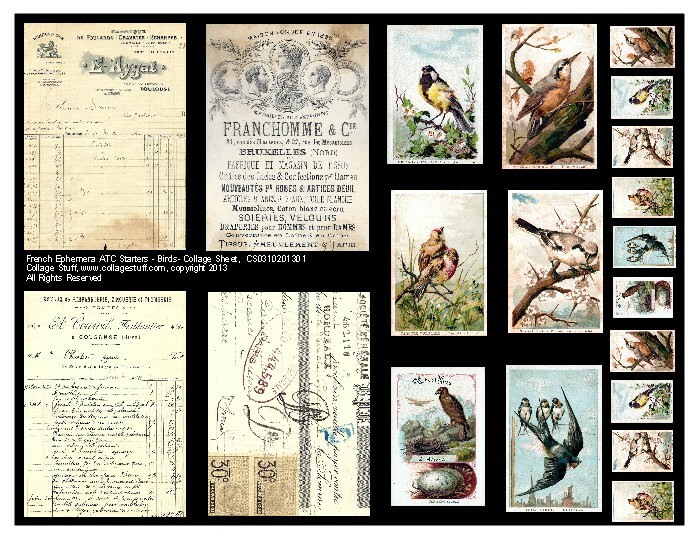 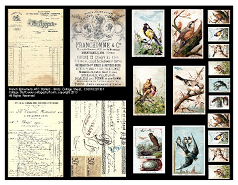 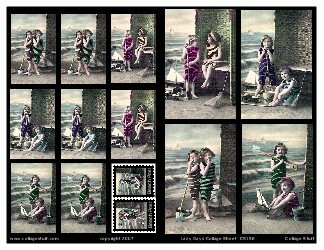 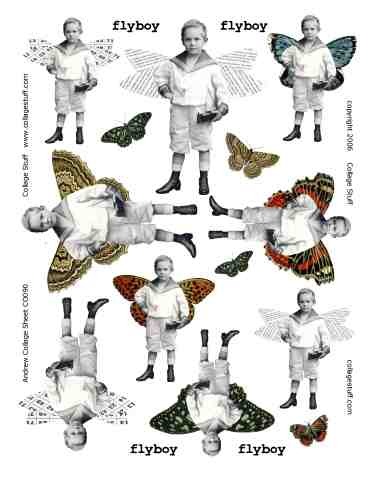 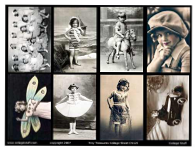 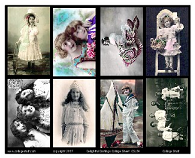 French Ephemera Collage Sheets: These collage sheets contain vintage French images - postcards, trading cards and receipts. 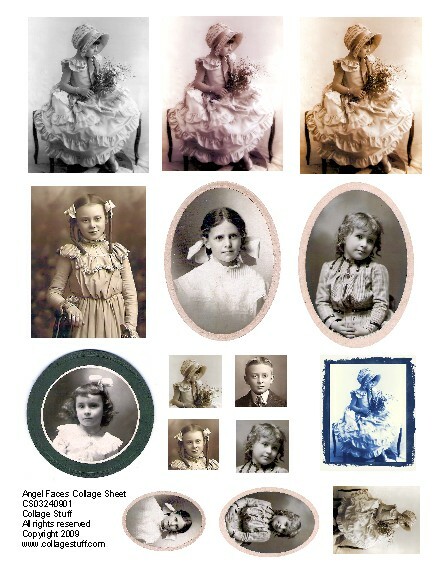 The collage sheets are 8.5" x 11" and laser printed, 300 dpi. 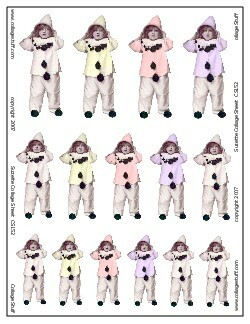 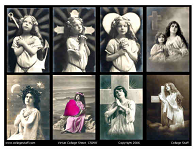 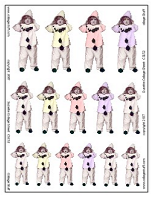 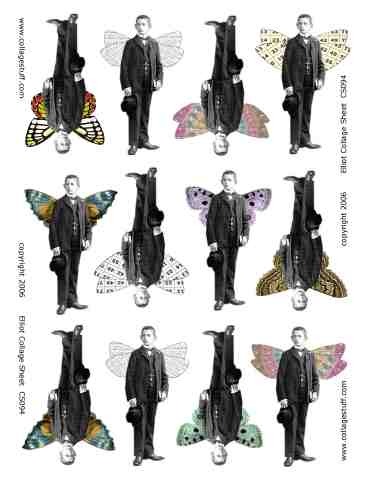 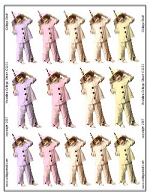 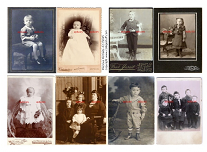 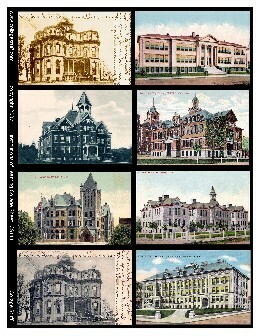 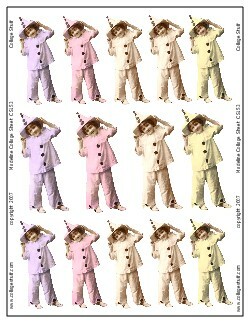 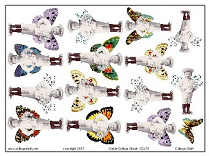 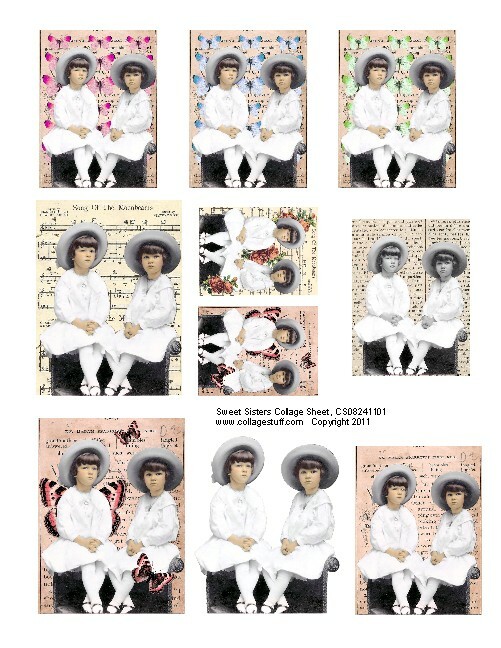 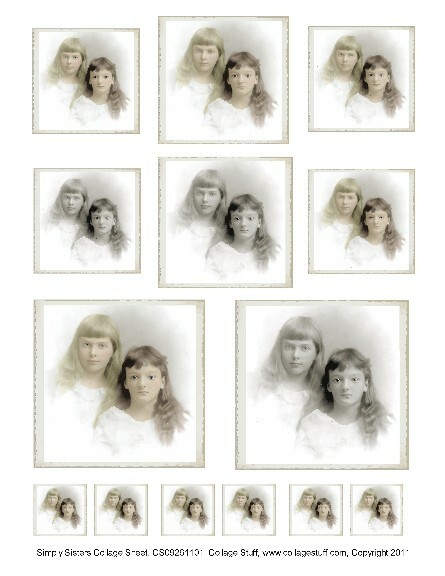 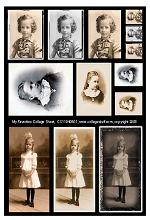 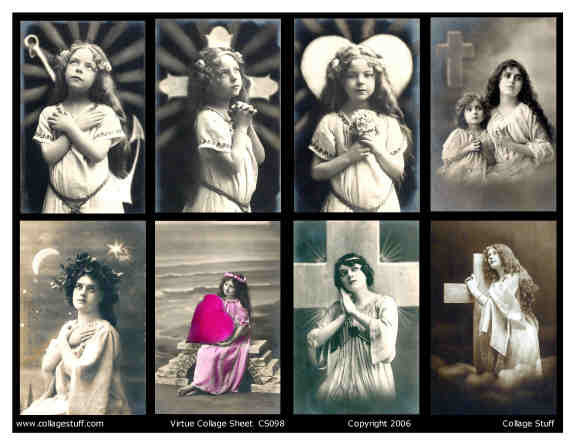 These collage sheets may be purchased in a paper format, transparency format, CD (PC only) format or e-mail format. 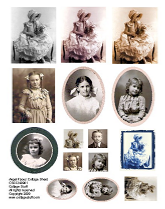 PDF files will be mailed to the buyer's paypal e-mail address. 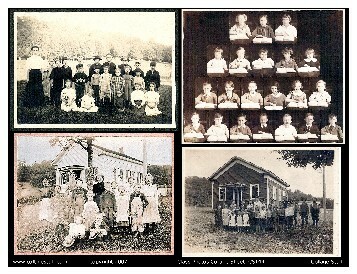 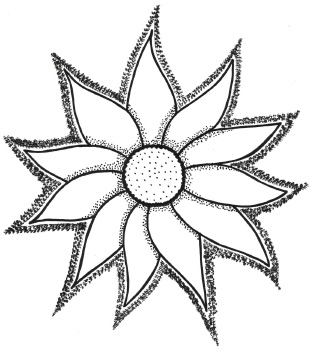 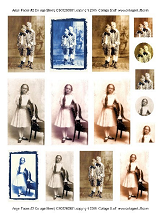 These are low resolution scans. 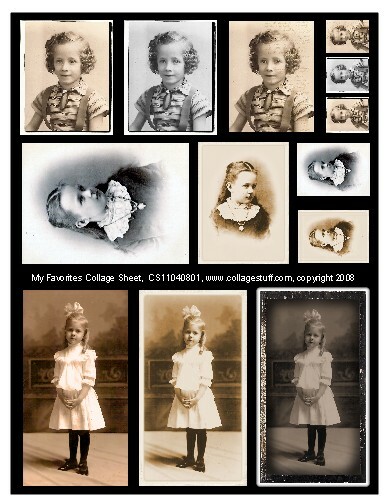 Each collage sheet is $4.50 or the collection is $18.75 Enter the format you prefer in the dialogue box.